Think back to your last trip to the grocery store. Did you see food items prominently displaying and touting blueberries as an ingredient on the front of the packaging? Throughout the grocer aisles you'll see muffins, bagels, baking mixes, cereals, snack foods and more that lead you to believe blueberries are a key ingredient. Look again. Read the ingredients list carefully. You might be surprised to learn that oftentimes blueberries aren't even listed meaning they are nowhere to be found in the food product. Instead you'll find deceptive terms like "blueberry bits" which are often made from high fructose corn syrup, artificial colors and flavors and other ingredients. If blueberries are not actually in the food, is it right to feature blueberries on the packaging artwork? NaturalNews.tv recently produced a news story on this topic. Their food investigation video "Blueberries Faked In Cereals, Muffins, Bagels and Other Food Products" is worth watching to learn more about this fake-out practice by food companies. Take a minute when you're shopping. Read the labels. 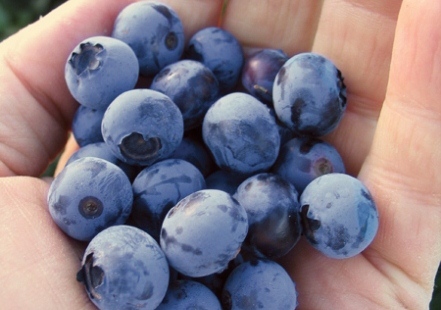 If you think you're buying a product with blueberries, check the ingredients to be sure. Only buy blueberry food products that actually have blueberries listed.